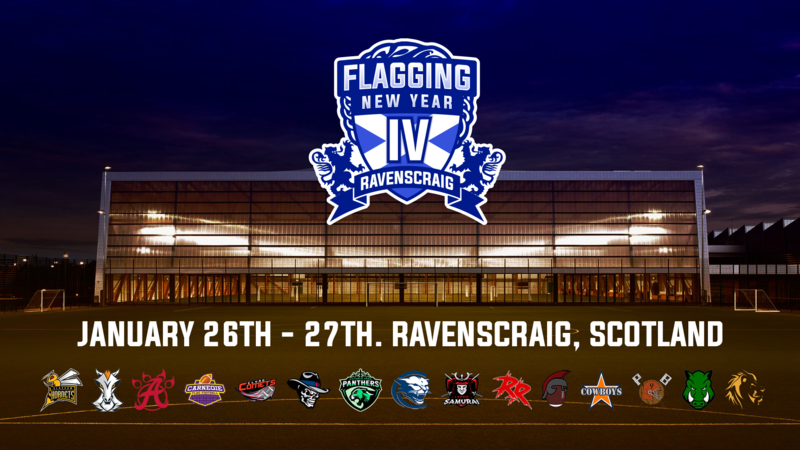 The teams have been drawn, scheming has begun – Flagging New Year IV has three intriguing and exciting groups for us to ponder over! Here’s all the news coming out the live-draw here! From the HNC, the Glasgow Hornets and Carnegie Flag Football side take their places in their fourth FNY tournament. The Hornets emerged from the HNC Prem as the #1 seed in the North, and Carnegie matched that trick in Division One. The Leeds Samurai are in their third FNY, having taken part in the inaugural tournament and FNY2. They were relegated from the MEC Premier Division this season, but were unlucky to come up against the Warrington buzzsaw. The Kocevje Wild Hogs are our first ever Slovenian team at FNY, after coming second in the SFFL. They’ve got vast tournament experience, and will hope to use this to good effect in Glasgow! Rounding out the group are the Balerna Beasts, who we know little about. They’re a new side with no tournament exposure under their belt. Despite being a young club, they had representation in Swiss’ national set-up, and figure to be another interesting outfit from the strong Swiss leagues. We’re particularly excited about the Hornets vs Wild Hogs match up. The Wild Hogs are our tip to be this year’s surprise package, akin to the Spartans last season. 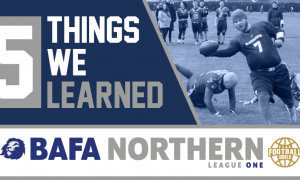 Their combination of speed and experience could pose issues for the Britbowl finalists, but they’ve got talent in spades also, as well as home-field advantage. Both sides scraped to their national finals last year, before being handily ousted by the Baker Street Buttonhookers and Novo Mesto Knights. We anticipate the Hogs are travelling with a strong squad, so the Hornets will need to be on full alert to avoid slipping behind them in the group. Carnegie and Leeds are teams who, in league stature, are going in opposite directions, however they’re far closer on the field. Carnegie will have gained a lot from the year under Neil Arnold, but have a huge hole to fill now. Leeds on the other hand are in the process of setting up their second side, and have some talented players in their midst – Kyle Taylor and Jonny Dudley headline an offence that can hit you from anywhere on the field. Carnegie figure to be struggling, with a number of key players missing, but veterans Stuart Anderson and John Guthrie will surely be able to have their side competing. Balerna could put up a fight against any of these teams – there’s just too many unknowns to be sure about their potential to mix it up! If we were pushed now, the Hornets and Wild Hogs are probably going as number 1 and 2, we’re just not sure which order. With Carnegie so under-strength, we’re expecting the Samurai to seize the initiative and topple them. Since they’re closer to home, we figure Carnegie will finish above Balerna. But then again, the Beasts could be a Cinderella story just waiting to unfold! The Broncos vs Spartans is going to be a lot of fun. It’s a speed vs speed match-up which has us very, very excited. The Broncos have been involved in some classic FNY fixtures in the past, and this promises to be yet another one! The Outlaws and Cowboys have names from the same Western pool, but are very different on the field. The Outlaws lean heavily on the defensive discipline of safety and GB Silver Lion Jamie Archibald, while the Cowboys have free-wheeling, big play ability from Peter Loughran. The Emerald Bowl champions will fancy themselves to get into the top 6 with this group, and beating the Outlaws will go a long way towards that. Then there’s the Cougars, who could literally upset anyone. They’ve done it to the Copenhagen Barbarians before – who’s to say they don’t pull off another scalping here? We’re taking the Spartans to top the group – they were just too impressive last year for us to be sleeping on them this season. The Broncos would normally get our love, but with Fraser Thomson still sidelined, we have them just a step back. That injury could be telling though, as we’re struggling to discount the Cowboys too much. We’ll put them in at third for now, but it honestly wouldn’t shock us if they snuck into the top bracket (or finished last, depending on what they get up to the night before the games). We have the Outlaws over the Cougars, but it’s a coin-flip on who the Cougars manage to recruit for the day! Our final group has the Aberdeen Oilcats take their place in a difficult group with plenty of questions. Aberdeen have, in the past, used the tournament to develop new players into their system. If they turn up competitive, they’ve got a strong bid to win the whole tournament. The Clyde Comets pulled off a shocking upset against the Oilcats last season in their survival bid. 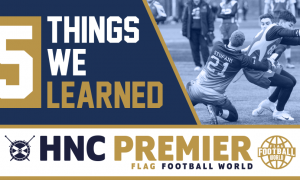 The Comets cemented themselves as a HNC Prem side with a convincing win at the relegation playoffs, and will want to start their 2019 off strongly. The Victoria Park Panthers (or VPP) came 4th at FNY2, and will feel a smaller pool of teams suits their style. The Reckless Russians will be typically well-prepared and speedy, and could make a dent on the title hopes of any team. Finally, the Purmerend Barbarians make their second appearance at FNY after finishing second in their domestic league. They’ve come a long way from FNY3, and will feel this group is an opportunity to push into the top 6. We’re loving the Oilcats vs Comets re-match from the end of last season. It was a slugfest, with both teams trading scores before the defences tightened. We know that loss left a bitter taste for the Oilcats, and they’ll want to exact revenge. But they should never discount the talented Comets. VPP against the Barbarians is a battle between two tournament-tested sides. Both are frequent flyers, and have distinct styles that could clash well here. 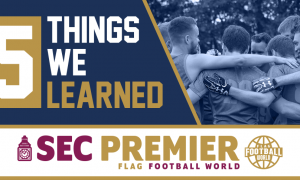 While VPP are a smaller group, the Barbarians have expanded to two flag sides this past season, with the benefits being obvious as they took a silver medal in the competitive Dutch league. The Comets against the Reckless Russians will also be fascinating, as two veterans, Bud McFerren and Lev Petukhov will hope to lead their sides to a top spot in the group. This one is really tough. Full strength Aberdeen tops this group without question, but we’re not sure if that’s going to happen. Strong? The Oilcats and Panthers progress. Weakened? The Barbarians and Panthers are our bets, with the Oilcats in third. We fancy the Comets to finish above the Russians, only because we know so little of what the Russians are bringing.